Yesterday was WordCamp Portland 2012. In its 5th iteration, at a much larger venue, and with many more attendees it managed to pull me right back to some of the magic of the first WordCamp Portland. 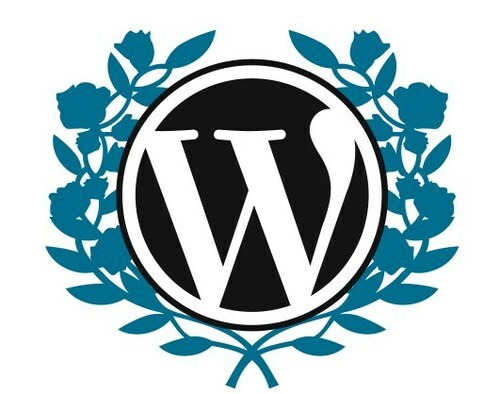 5 years ago I was just starting to use WordPress and attending and volunteering at an event such as WordCamp seemed like a game changer. I didn’t know what to expect but I was terribly excited. Excited to wake up at an ungodly early hour and head down to spend my entire day and night with a bunch of folks I didn’t know. But they all knew things, were speaking about things, I wanted to learn. And that day I soaked up knowledge like a sponge. I attended every session. I chatted with people at every break. I handed out t-shirts at lunch. I was able to use the extremely limited knowledge I had on moving from blogger to WordPress to help others move their blogs. I met amazing individuals. I fell in love with a phenomenal community. I spun around in chairs. I caused distractions. I drank with the experts after the event. And when it was all said and done I felt like I wanted to be there every year, so I have been. The past years there has always been some knowledge to glean. Some lesson to learn. Some new person to meet and relate to. And it has always been WordCamp. And it has always been special. But this year for some reason it was magical again, fresh and new and full of community and hope just as it was the first year Portland held a WordCamp. My day started out so very differently. I wasn’t eager to pop out of bed and head down to the venue. As a matter of fact I hit my snooze button so many times I don’t know how I wasn’t tardy. I snuggled into the warmth and safety of my bed a little deeper each time the alarm went off, and while I didn’t want to skip the day, I didn’t have the same excitement for a new adventure as I did that first year. None the less, I threw on my dress, put up my hair, and pulled up my boots. I smeared on some lip stain, ate a quick breakfast, and brushed my teeth. Then I grabbed my water bottle, laptop bag, sunglasses, and keys and it was out the door. With a hint of trepidation I strolled up the front steps of Norse Hall and only then did I get excited. As the “Unconference Coordinator” I was really lucky to have a role in which I could be actively involved, but pretty much only on the day of the event. I didn’t put the blood, sweat, and tears into WordCamp Portland that all the organizers lent to the event in the months leading up to it. I got to walk in the door, pick up the excitement as I picked up my badge and 5 year attendee blue ribbon, and run with it. In contrast to the first year I spent my morning setting up a board, figuring out logistics, running from room to room, pounding coffee (what… I don’t drink coffee? I wish someone had reminded me of that yesterday) and preparing for the long day to come. I didn’t attend the entirety of a single talk. I saw the beginning of many, the middle of a few, and the end of none. I tweeted a lot but not for my own entertainment. I saw friends, neighbors, and folks who, throughout the years, have come to feel more like family. I talked to people I haven’t seen in far too long who I know I will likely wait far too long to see again. And I met new people I hope I get the chance to interact with again. Thank you to all the speakers, volunteers, sponsors, and attendees. And a huge thank you to all the organizers, job well done. Job extraordinarily well done. You make up a great community. And that’s the wonder of the internet. Of WordCamp. And of Portland. A community that makes even an introvert like me feel at home.